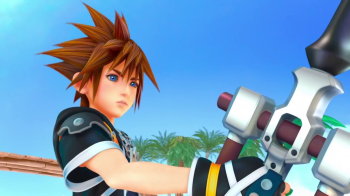 Kingdom Hearts Director: PS4 is "Too Much"
Kingdom Hearts creator Tetsuya Nomura is a little intimidated by the power of the PS4. Gamers will be able to get their hands on Sony's PS4 in just under a month, but developers have already had plenty of time to work with the new hardware. They're generally been saying good things, but Kingdom Hearts creator Tetsuya Nomura has one interesting complaint - he says the power of the PS4 is more than he knows what to do with. When an interviewer asked him what he thought of the console, he laughed, "I thought 'That's too much!'" Nomura's problem is that with next-gen power come next-gen expectations. Now that there are more possibilities than ever, the team has that much higher of a bar to reach. And with fewer technical restrictions, it could be more difficult to decide which features to put in the game and which ones to cut. Still, Nomura is happy about the system's improvements over last generation. In particular, he mentioned that the PS4's 8 GB of RAM will be great for making the game world a seamless environment. With more data kept in memory and less stopping to load, gameplay will be more fluid than in previous installments. The more out-there features of the PS4, like the DualShock 4 touchpad or PS Vita connectivity, are on Nomura's mind but he isn't ready to talk specifics just yet. Kingdom Hearts III doesn't have a release date as of yet, so he still has plenty of time to mess around with these next-gen toys.